Since February 2019 I have been working at Q-Bio, Redwood city, CA, USA as Senior Research Scientist. I will continue to update this web page. 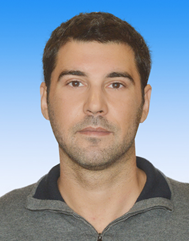 Stamatis Lefkimmiatis is an Assistant Professor at Skolkovo Institute of Science and Technology (Skoltech). He received the Diploma degree in Computer Engineering & Informatics from University of Patras, Greece in 2004 and the Ph.D degree in Electrical and Computer Engineering from the National Technical University of Athens (NTUA), Greece in 2009. Prior to joining Skoltech, he held research positions in Ecole Polytechnique Fédérale de Lausanne (EPFL), Switzerland and University of California, Los Angeles (UCLA) , CA, USA. applications in digital photography, biomicroscopy, remote sensing, medical and astronomical imaging. For further details please see my CV (last updated June 2018). J. Lin, S. Lefkimmiatis, and S. Kyunghyun,“Deep network training based sparsity model for reconstruction”, In Proc. 25th ISMRM Meeting, Hawaii, USA, April 2017. D. Sage, H. Kirshner, C. Vonech, S. Lefkimmiatis, and M. Unser, “Benchmarking Image-Processing Algorithms for Biomicroscopy: Reference Datasets and Perspectives,” In Proc. 21st European Signal Processing Conf. (EUSIPCO’13), Marrakech, Morocco, Sep. 2013. D. Zafer, S. Lefkimmiatis, A. Bourquard, and M. Unser, “A Second-order Extension of TV Regularization for Image Deblurring,” In Proc. Int. Conf. Image Processing (ICIP’11), Brussels, Belgium, Sep. 2011, pp. 713–716.